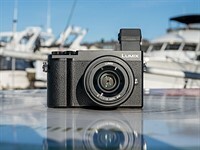 Panasonic's Lumix DC-GX9 is a compact, rangefinder-styled camera that, in many ways, is especially well-suited for street and travel photographers. 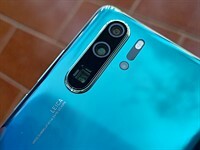 The design is handsome and understated, it comes with a 20 megapixel Four Thirds sensor and its standout feature is a tilting electronic viewfinder that is really handy, but not without its own caveats. The GX9 is well-built and comes with a robust and customizable array of controls. Great JPEG colors and the addition of a L. Monochrome D setting (basically, a high-contrast black-and-white mode) will be fun and useful for users that desire high quality images without having to process Raw files - though the GX9's Raw files are awfully nice, too. The GX9 is something of a blend of Panasonic's preceding Lumix GX8 and GX80/GX85/GX7 Mk II (what that camera is called depends on which market you're reading from). 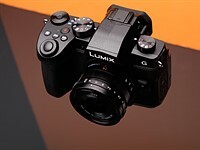 Following the original GX7, Panasonic moved the Lumix GX8 slightly upmarket, with a higher price, while introducing the GX85 shortly after at a lower price. As the GX9 sees those two lines recombined, there are some nuances to its feature set that we'll cover thoroughly on the following pages of this review. 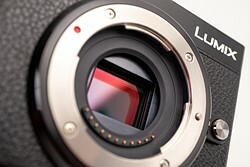 The DC-GX9 began shipping in early March 2018 at a price of $999 with the Panasonic Lumix G 12-60mm F3.5-5.6 OIS lens. Other regions will likely have other kits available. Color choices are black or silver. The GX9's 20MP sensor now comes without an anti-aliasing filter, and Panasonic's added some neat new features like Sequence Composition. The GX9 is well-built and compact but has room for a good amount of customizability and controls - plus, of course, that tilting viewfinder. What's it like to use? The GX9 is a versatile camera that will suit a wide range of uses and photographers. Editor Jeff Keller details his experiences of using the GX9, from the JPEGs to the tilting viewfinder. The GX9's redesigned shutter eliminates shutter shock, and the JPEG engine gets a big update in terms of color. Panasonic's Depth-from-Defocus technology makes for speedy and accurate autofocus in a wide range of situations. With high-bitrate 4K and good-quality 1080p, the GX9 is a great camera for casual video shooters. We've been updating the GX9's sample gallery steadily over the time we've had it - take a look to see everything from cats to concerts. We really like the GX9, and find that it's a lovely camera to use. Plentiful controls make for an engaging experience, and the compact size means it's easy to bring with you. 4 What's it like to use? 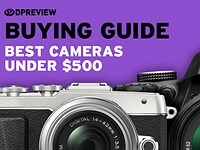 @Dpreview: why didn't you include the Fuji X-E3 in your comparison table? It would have made sense to include it since you also had a Sony APS-C in there. I was surprised (no I wasn't, its typical) that it wasn't there either. It's a direct competitor. The reviewers should know that this is a MICRO 4/3 sensor not the "regular" 4/3 sensor. 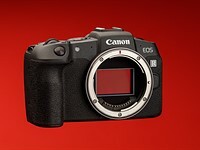 It's a 4/3 sensor exact the same size as in the good old 4/3 dslr's. Micro Four Thirds is a lens mount. Four Thirds is a lens mount. 4/3" is a sensor size. Both mounts share the same sensor size. Yes, the sensors are the same size but there is a big difference between 4/3 and m4/3. When talking 4/3 that's the old DSLR format, not the m4/3 which this camera certainly is. There is no such thing as a "Micro 4/3 sensor". I don't think anyone is as confused as you. Yes this is a "Micro Four Thirds Sensor" just like ALL sensors of this size are. This is the formal marketing name of 4/3 sensor. Again, you're not talking about sensors, you're talking about either cameras or lens mounts. Yes you are correct. Meant to say that the sensor is the same size for both Micro Four Thirds System and Four Thirds System. Both system names refer to a sensor size and mount/registration distance specification - together which defines the respective "system". True, but then as I've found numerous times with my K-50, having a weather sealed option is better than not, even if it is just the kit lens. The 12-60 doesn't seem too bad from what I've read, and there are the Olympus Pro lenses too if your budget allows. As much as I like my E-M5 II (and I do think at $750 it's maybe a stronger value than a GX9 at $1K, at least if you don't care about kit lenses), the GX9 is a better camera for the average buyer... Better video, far better C-AF, easier menus. I think what makes the GX9 look like a poorer value more than anything is Pana's own lineup, as long as the GX85 & G85 are available they make the GX9 look mildly overpriced. How can a camera with so many cons come up with an 84% overall score? There must have been some pros too, eh? I would love to buy a M43 camera, but not in APS-C sized body. Panasonic should think again about the "back-up camera" market niche and remember successors GM1 and GM5. Powerfull and pretty much pocketable. Are you the only person left that doesn't realise the size advantage of M43 lies in the lenses not the body? The thing is, although GM5 was really tiny with EVF, it wasn't the best camera in terms of ergonomy. "Small" isn't always better. GX8 is a very good camera in terms of holding and using. I cannot say the same thing for A6500 for example. "Are you the only person left that doesn't realise the size advantage of M43 lies in the lenses not the body?" Lesson from SONY: when they introduced the NEX and A7 cameras, they made them as small as possible to grab people's attention and they have succeeded. GF1 was wildly popular because it is smaller than G1 with a similar feature sets. Honestly, if the GM5 had a tilt LCD, I would have bought one. Definitely wanted the smaller body camera, but needed a tilting screen, too. Got the GX85 instead (same size body as GX9) because of the LCD and rangefinder style body. Best compromise around (cost/size/IQ). taruaS: really? shall we talk about f1.2 lenses? I think it is a weak argument, we had small bodies until manufacturers needed to appeal to pros and/or have all features like 4K, etc... The issue here is that manufacturers need to make money, they can't afford to develop yet another, small, model that might harm sales of bigger cameras if it's too good or that wouldn't sell if people feel there were too many compromises because of the size. @TaruaS - actually both Olympus and Panasonic have hammered that the system size *also* includes the body. And guess friking what? Yes, a GM5 is notably smaller than a GX9, making the system camera *even* smaller and yet capable. I really wished Panasonic did a true GM5 successor. The GM1 and GM5 didn't sell well however. They had to discount to GF levels to sell off the last cameras. The GX line however had been a good seller. The GX8 is a bit big, but I don't find the GX85 big. 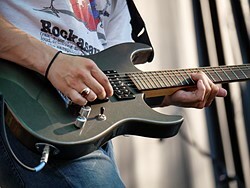 In fact, people complain the grip is a bit too small. @JakeJY - I understand they didn't sell well. Some of us do like the GM5 size though, and I wonder as the upcoming war heats up (with Nikon just starting next week), if Panasonic and Olympus don't revive the smaller form factors, they may go the way of 4/3rds. From previous interactions, I realize you like the GM5 size. However, I don't see how the new FF mirrorless will do anything to drive demand for smaller form factors. Cameras like the GX85 kit is still significantly smaller than any FF mirrorless kit and this won't change with the Nikon release (which from rumors actually will be bigger than the long existing A7 series). If the GM series was not viable back then at a premium, I'm not seeing how it will help the situation now. Note that the less premium GF line (GX850 is same as GF9) largely carries a lot of the characteristics. Yes, I adore the GM5 size. I don't mean to say everyone does, but there's clearly a set of people that do. I am one of them. 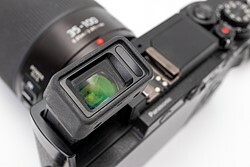 As for the new FF- reason is that as new FF mirrorless ramps up, prices will push many others down. Rumors abound now Fuji's new upcoming X-T3 will be cheaper than the X-T2. Note that the X-T2 was already cheaper than a Panasonic G9 or Olympus EM1 MKII, and it's still a *very* capable camera, if not better than the later two actually at many things. Cameras like the GX85 are significantly smaller than FF Nikon- correct, but what Camera either Olympus or Panasonic do with all their cutting edge technologies on that size? None. The GX9 *just* got a 20 MP sensor in that size, but no weather sealing, less capable DFD, less speed than G9, outdated EVF. It's a good camera. But my point is, I think both Olympus and Panasonic need to do their best at those sizes too or face going 4/3rds. The GX850 doesn't feel like a GM5 nor is it as small. It also uses a very outdated (at this point) sensor. And to continue pointing out the competition, look at what Fuji is doing with the A5/X100T and the price points. This is why I think both Olympus and Panasonic may be forced to re-think pro-small. The smaller models were never pro (GM5 is probably as close as it got to that). They can't afford to hold back. So basically as the upcoming war gets super brutal, both Panasonic and Olympus need to go back to what makes them really stand out- I would say that's the size. Maybe do a size bigger than GM5 but still a tad smaller than GX9 and have all the latest stuff they can cram. Weather sealing. Fastest AF. etc. I replaced my GM1 with a GX850 (my other body is an E-M5 II), and tbh it feels every bit as well built even if it lacks a mag alloy frame... I know it's a non starter for GM5 fans who bought that for the EVF, but for people who just want the smallest body or a second/backup small body it's a great option IMO, for me it was an upgrade over the GM1 in at least half a dozen ways and only a downgrade in one (lost manual control over video, which I didn't use on that body anyway). It's about as close to an A6xxx as you can get, minus the slim grip. Not sure if you are responding to me, but the GX850 is the one that is closer to GM5 size, not the GX85. As for vs A7, try adding the respective kit lens to it to see the size different (that's even ignoring the huge viewfinder hump). BlueBomberTurbo is right that the a6xxx is the closest match (with the 16-50mm kit lens). I cross shopped the a6xxx and the GX85 before deciding on GX85. @JakeJY: Yes, it was your exchange with Raist3d, starting with "Cameras like the GX85 kit is still significantly smaller than any FF mirrorless kit". 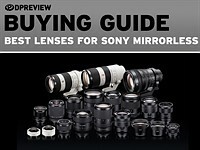 I own the GX85, GM5 and A7 III, so I felt qualified to comment. You are right that the A6xxx is pretty close, though a little smaller (and the GX9 has grown a tiny bit compared to the GX85). You are also right that there is no such compact zoom available for Sony FE as the Pana 12-32 or the Sony 16-50 (though the Sony could be used in APS-C mode). But the body itself is only moderately bigger and can be paired with tiny lenses like my Samyang 35mm/2.8 or the 24mm/2.8. The result is than pretty comparable to a combination of the GX85/GX9 with a prime, like my PL 15mm/1.7. The GM5 is way-way smaller and lighter, I am keeping it and I would buy its true successor in a heartbeat. On the other hand, I'll probably sell the GX85, as the size difference to the A7 III is not that meaningful to me with the midsized lenses I usually use with it. That's why I said GX85 kit, not just the body (a body alone is pretty useless without a lens). If FF cameras came with pancake zooms like the 12-32mm or 16-50mm (and they make a rangefinder version) then it might change the game, but the direction that seems it seems to be moving is ever bigger lenses and bodies (again Nikon's rumored camera is larger than the A7 series). Also, for my use case (camera for my jacket pocket) the EVF hump on the A7 matters and gets in the way. The rangefinder-like bodies are the only ones that might fit, and GX85 and a6xxx series are pretty much the limit. Yes, I would like an FE pancake zoom as well, I am not sure if it is possible. But some small lenses are coming, the mentioned Samyang F2.8 primes are tiny, but very good and cheap. I understand, the A7 series are not really jacket-pocket friendly, even with a pancake prime, because of the EVF hump, but also because of the weight of the camera. The hump is in fact the reason why I can't fit the camera in the exactly same bag as the GX80 and needed to upsize it a bit. I agree that the GX80 is at the limit of what I would consider carrying in a jacket pocket. But to me, the GM5 is my jacket pocket camera, it's so lightweight you can hardly feel it. In fact, I almost never paired my GX80 with the 12-32 or the 15/1.7, those are at home on the GM5. Definitely a GM5 is a better fit for a jacket pocket. I considered that and the GM1, but the GX850 came out, so I was waiting for some discounts for that. However, the GX850 was practically never discounted, while the GX85 had crazy good deals for Black Friday last year and I bought one. Barely fits with the 12-32mm attached, but it fits. Also considered the a6000 kit (practically same size), but I got a better deal on the GX85 and it has more features (IBIS, 4K, touchscreen) and a better kit lens (12-32mm has better corners than 16-50mm). A FF rangefinder camera with a pancake zoom (and/or a series of pancake primes) would be a very interesting product, but doesn't look like any company is interested in making one. I'm glad I jumped on the GX850 when it was $400 shortly before or during Thanksgiving... :> I would've thought it'd been discounted more frequently since then given that it's well over a year old now, but it seems not. The older model is marketed in Japan as the GX7 MkII, not the G7X MkII. You're thinking of the Canon P&S, and you cited it TWICE. I've made those corrections in the conclusion, thanks for the catch. No external battery charger in the box a con in 2018 ? Really ? Go on Amazon and get it with a few batteries for like $20. The cameras that don't have built-in USB charging is the big con today, ask any youtuber. 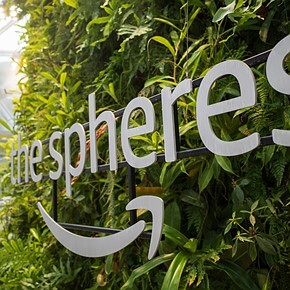 Not all people have Amazon nearby. Amazon is as close as your mailbox. Amazon postage to my country costs more than the value of such items themselves. Then, it might be a good idea for you to indicate your country in your profile. Not everyone can read minds. I see it as a con. When you charge the battery, you cannot use the camera. Also, external third party chargers are cheap but they usually have only two supply pins, meaning they do not monitor the temperature sensor of the battery when charging. And I do not see why a youtuber would prefer in-camera charging....please could you elaborate ? Because they don't have to remember to bring a charger when traveling. Ask the top youtubers like Casey Neistat, Marques Brownlee, Justine Ezarik (iJustine) etc. We consider USB charging to be a pro but we also consider leaving out a charger to be a Con. As always, these are things that may or may not matter to you (not every Pro will benefit every photographer and not every 'Con' will be significant to everyone). They're things you may wish to be aware of. Where do you even live, Antarctica? "They do not have to remember to bring a charger." But, as I said, it is very basic and lacks the monitoring of the battery temperature sensor. Also, camera manufacturers always warn you that you charge their batteries with a third-party charger at your own risk. Last year I went to a balloon festival with my GH5 and when I got there it had no battery in it since it was still in the charger. I also had my RX10 III and A7r so it was not a total disaster. P10004K: when did we stop thinking and just blindly follow whatever youtubers say? having only one charger can be convenient but what if you need to charge your smartphone at the same time? also charging in camera means you can't use it while it charges. Of course it only costs $20 but that's third party. What happens next? if they don't put a battery in the box we'll say it's only $20 anyway? It's not a binary choice, they could add USB charging and not take away the discrete charger... Mind you if they made it a forced choice then I'll take the USB charging because I know I can buy an extra charger cheap, but still, it's fair to say their approach is both a pro and a con. Marty, it's not about where I live, but about all the many DPR users who do not live near an Amazon warehouse. "Last year I went to a balloon festival with my GH5 and when I got there it had no battery in it since it was still in the charger"
Never get out without a spare batterie and a spare memory card ! Impulses..... I think the point is "If the charger is only $20, then you should get one in the box when you buy a $1000 camera." Obviously it is best to have both... a charger and USB charging ability. It just seems silly to have to buy a charger after spending a lot of money for a camera. Panasonic isn't alone in this practice. Sony does it too with their $1,400 a6500 and their $2,000 A7R III. If this trend continues you will soon be paying extra for the battery, camera strap and body cap too. It will be just like buying from Broadway Photo. "Do you want the box too?" @Karroly I also had tow other cameras and fully charged GH5 battery is more than enough for what I was shooting. BTW I have three GH5 batteries but only take them if I plan on shooting alot. "BTW I have three GH5 batteries but only take them if I plan on shooting alot." Here's hoping with the GX10 they return to the non-letterbox EVF (my eyesight is perfect so I don't have Field Sequential related perception problems, so *that's* not a problem in of itself) and do some sort of halfway house between the bit-too-large GX8 and the 9 form factor which to me makes a handling compromise too many. I miss the stabilisation on the 9, but I don't miss much regarding usability when I reverted to the GX8. Since I'm prime-heavy in use shutter shock was never an issue, and neither was JPEG since I only shoot RAW. "Then Panasonic took the series upmarket with the GX8, and introduced a new lower-tier GX85 / GX80 / G7 X Mark II ". "Compared to other cameras......Panasonic GX85 / GX80 / G7X Mark II"
You need to change these to GX7 mark II. Easy mistake to make with all these similarly named models. The G7X is a Canon one-inch model. Yes I've corrected that. Thank you for the catch! I had the G7 for a short period of time. Returned it because I could not live with the amount of time I had to spend in post to get colors to look anywhere remotely close to reality. I hope Panasonic has improved since then. They did. Didn't you read that in the review? What software are you using? Or are you shooting JPG? No, I dont have time to read camera reviews. So, I didn't read specifics - only "there is a new, better jpg engine". I didnt see if, for example the SOC skin tones are better. And no - I do not want to waste time on some huge post workflow when images come out of my Nikon's almost ready to go with just a few tweaks. So you just waste other people's time by responding to articles you didn't read? To save everyone the trouble: yes they are better, but no they still have that characteristic Panasonic muddiness. @brownie314 - if you are not bothered to read the review or research the camera, then it's kind of hard to make a categoric statement as to where this camera sits no? As much as possible, yes. How is it not a waste of your time to reply to something you regard as a waste of your time? As a GX7, GM5, and GX8 owner, the GX9 seems a bit betwixt and between. It is not an upgrade to the GX8 in terms of practical use, so I won't be changing that. 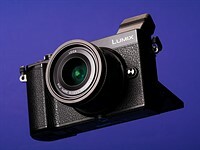 The GX9 is now the smallest enthusiast camera with an EVF in the Panasonic lineup; the GM5 has been abandoned, with nothing in between it and the GX9. I consider the GX9 to be the successor to the GX7 - a good camera, and if the GX9 had the EVF and weatherproofing from the GX8, there might be a reason to trade up. As it is, the GX8 is a very satisfying camera, and the GM5 is more than adequate for a light kit. I gave the GX7 to my son. If you put the optional grip on it, you can make it the same size as the gx8 or smaller by taking it off. I like this option for bigger lenses. The GX8 is weather sealed tho, the GX9 isn't, that's a big sticking point for many. Upgrading from a GX7, the only thing I really dislike about the GX9 is the relatively narrow and slippery grip. Of course that's subjective, but for me the GX7 got it right first time ergonomically. The older camera's grip is just a bit larger, but more curved so that I can wrap my hand around it rather than pinching it with my fingertips. It's also softer grippy rubber rather than the harder and smoother leatherette stuff coating the GX9. Despite the small weight difference between the camera bodies, using a larger lens on the GX9 feels less comfortable and secure than it did on the GX7. I think it's a real shame that Panasonic broke something that didn't need fixing. Of course there's the official grip as an option, but that reduces the GX9's size advantage. It also has to be removed every time the battery is changed. To me that's unacceptable on a camera with such poor battery life - Fuji grips are more expensive, but at least they have a cut-out for battery/SD-card access. I have the grip, and just put it on with big lenses. So it's the best of both worlds. Also, if I plug my camera in to copy images off of it, I just charge the battery at the same time, so there is less need to remove batteries and memory cards. I think it's working out pretty well. I thought I would find this annoying too but it's not. My main gripe with the grip is needing to remove it to swap batteries while actually using the camera. I sometimes empty 4-5 batteries in a day out while using my GX7, and the GX9 has worse battery life than its predecessors. I was on to my 3rd battery just testing it out in an afternoon shooting macro and birds down my local park. Having to unscrew the grip and switch batteries while in the middle of shooting wildlife, an airshow, or an indoor event, really doesn't appeal to me. Pretty much every third party grip has a hole like that, and this isn't the first hole-less grip Pana has made either, it's kind of inane. Is the GX9 really using the same 2.5 years old sensor as the PEN-F? Is there only one variety of 20MP m43 sensors? Where did you see that? The Panasonic Australia's marketing video states clearly GX9 has the same sensor as GH5 and G9. The image processor however is Venus 9, not the latest 10, according to multiple online sources. A7RIII's sensor is more than 3 years old. So what? It says so in the conclusion. I think there's a few variations of the 20MP sensor (and I'm not just talking about the OSPDAF masking on the E-M1 II), but for all intents and purposes the IQ differences are nil... Readout speed and e-shutter usability is where they differ more significantly and this is seldom mentioned in reviews, kind of annoying. The E-M1 II can manage 1/60, so can the G9 but only up to a certain ISO limit, most older/cheaper M4/3 bodies including the PEN-F (and I'm gonna guess the GX9) are at around 1/20 for the e-shutter, big difference. The GX9 has the older, slower sensor, as is clear from the crop in 4K video and the noticable rolling shutter. They simply put the GX8 sensor into the GX85 body, it has nothing to do with the G9. I have the em1 mk2 and gx9 but always feel that my em1 mk2 sensor is slightly better in high iso noise and Dr. Has anyone done a scientific test? I had a Gx85. Although I liked the user interface and the dials, the Adobe profiles (no matter whether Adobe Standard or Camera Standard) just looked worse than other cameras and fruits looked less three dimensional. That's why I won't choose Panasonic cameras, no matter how good they are. Maybe I will try a different raw converter someday. A Pentax color profile from Dxo Photolab works much better with the Gx85, but I don't want to use Photolab. Agree. I've also found that m43 inherently renders flatter images. Part of it is due to wide DOF of the tiny sensor. The other part is the lenses. That's why so many movies have the background shifted toward cooler blue and the actors color corrected so they're warmer oranges and red—in a picture cool colors seem further away and warmer colors appear closer. That's why split toning in Lightroom is such a valuable tool. @108 - I know! It's hard to build lenses that are fast enough for m43, and when they get close to being fast enough they also get bigger, heavier, and more expensive and we're suddenly back to all of DSLR's disadvantages. f/2.8 lenses definitely don't cut it for this format. fPrime, I don't think you've ever had a m43 camera and doubt you could identify these 'flatter images' in a blind challenge. @s1oth1ovechunk - I haven't had a m3 camera but I have shot a similarly small-sensor Nikon 1 so I know the challenges. The Nikon 1 cameras are also relatively flat unless you mount an 18.5/1.8 or 32/1.2 and keep your subjects close. Wide DOF is actually an advantage for m43, but I need the opposite for my photography so it'll never be a good fit for me personally. White balance is skewed on Adobe x GX85. Daylight is roughly 5000/3, where my A6300 is 5350/4 (default is 5500/5). That 350 in temperature really does make a difference. 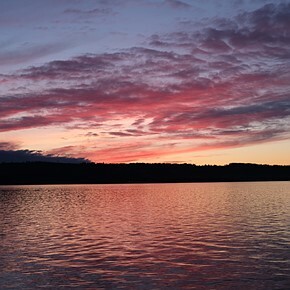 Outdoor images are noticeably warm. Fixing the WB and tweaking the HSL a little, I can get the GX85 to match my other cameras just fine. I'm sure it has something to do with the sensor size/lens combination. 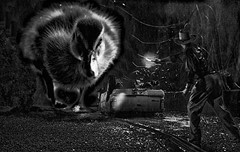 “Flatter” here means a scene rendered in such a way where the viewer can sense little to no three dimensional separation between scene elements. It is opposite of what is known as “3D Pop” in photography. Flatter images. Ha. Do you believe in the flat earth hypothesis too? 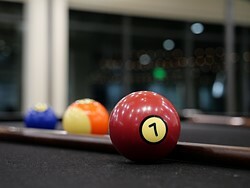 fPrime is only referring to depth of field, based on previous comments. 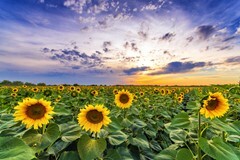 So that definition of "flat" just means "large depth of field." Shallow DoF is not required for subject isolation though. It's one way of doing it, but not the only way. 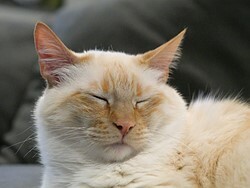 But since more bokeh is always better I don't understand why anything less than medium format will suffice! @Ribbit74 - Correct, 3D Pop is an illusion formed in the viewer's mind so it is an entirely subjective quality. However, 3D Pop also isn't just shallow DOF. 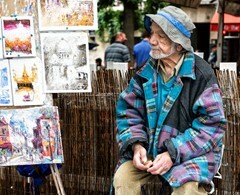 It is more accurate to say that shallow DOF is one depth cue among many that is useful for creating photographic 3D Pop. How many control dials does it have? I saw only one in the rear. Is it clickable? There's also a front dial wrapped around the shutter button, and an EC dial stacked below the mode dial. The rear dial is clickable, but unfortunately the click isn't customisable or used for much. It'll activate focus zoom when using a fully manual lens (no electrical contacts), but otherwise just acts as an OK button in menus. 1. Image quality - RAW is sooo less sharper than a6300. There's also some green tint on portraits. 35-100 f2.8 kinda "pro" lens, but have a look at that ugly purple fringing. And it's not even a sunny day! 3. ISO 500 is already grainy as a hell. Absolutely no reasons to prefer it over a6300/a6500 at given price. 2 huge reasons: good and rather cheap and small design lens selection and very good IBIS. If Sony had a decent kit lens and some other interesting lenses in the under 1,000€ region, I'd already have got a 6300. The 6500 is just too expensive. Sorry, this camera is for people who actually use the camera and enjoy photography/videography. Not so mutch for pixel peepers who enjoy sitting and staring at the monitor en enlarge the photo's 200% or more. I'm pretty sure ISO 500 only looks grainy as hell because of the processing in ACR. Don't use that myself, but I have noted before (e.g. with the GX85 review and the Canon M50 review) that "DPR's" processing causes a LOT of grain -an abnormal amount of grain in my eyes. Take DXO optics or photolab or look at the SOOC jpgs. I took a few samples from those reviews and processed myself -fine at high ISO. Not sure how the 20MP sensor is, but the 16MP in the GX85 is very sharp, even with the 12-32 kit lens wide open. Sharper than my A6300s with just about any lens I own. 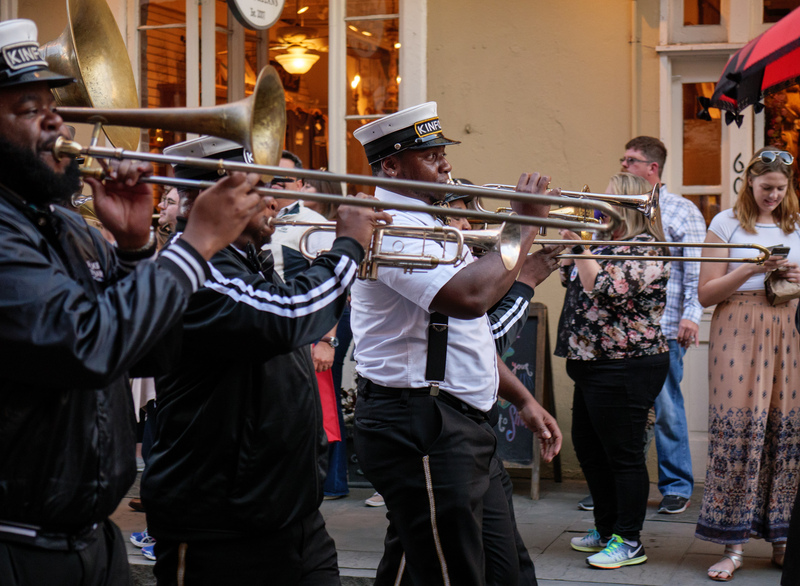 But yeah, noise comes on earlier, but the extra sharpness lets you add a bit more NR to counter it than a camera with an AA filter (like the A6300). All in all, it's a wash as far as sharpness goes. - Sony still doesn't offer a lossless compression scheme with them for raw and you have no option. This is mostly a non issue except if you are pushing shadows, shooting higher iso. - The Sony e-mount (not full frame) options are not all that wide and good. You have to be careful which lens you pick because it will be bad. Even the SEL35 which I think it's good, is not all that sharp wide open. you could use the FF lenses, particularly the wonderful G-master lenses, but there goes both your budget and the size advantage. I bought a GX9 but ended up returning it for a Fuji X-E3. I found it's grip and handling to be uncomfortable compared to the Fuji (be sure and try before you buy), and was not impressed with it's low light capabilities (even using the 25mm 1.7). The biggest issue I had was it just was complicated and cumbersome to use—tons of features crammed in a tiny body. If you're coming from another recent Panasonic, you're probably used to it, but the last Panasonic I used (and loved) was the LX5. So, compared to my Canon, it was frustrating. I'm much happier with the Fuji (but do wish it had IBIS). My review—not great for those new to the system, but probably good as a second camera to a GH5 or something like that. The Fuji X-E3 is great. I got one but moved to a Gx9 simply because once you hit past the focal of 70mm on Fuji, the lenses start getting too big/heavy for my taste. But Still love Fuji. The lens that keeps me with m43rds is the Olympus 75mm F1.8. If Fuji made an F4.0 OIS prime that hit say 135mm effective focal and be smallish/comparable, I would probably go back to Fuji. Yeah that's definitely true... My current use-case is larger lenses with my Canon and primes and small zooms for the Fuji. That being said, it would be nice to have something tele for the fuji. I use X-E3 with 90/2 and they work great together, no problem with the weight. I considered it, but in the end, decided against it in favor of the a6300 based not only on pricing (where the M50 is in the same ballpark) but also in design. The EOS M50 has a centrally located EVF like a mini DSLR, as opposed to the corner-mounted unit on the a6300 - so design-wise, I thought the Sony made more of a direct comparison. In a perfect world, I would have liked to add the M50 as well, but unfortunately, we have to draw the line somewhere or else the comparison charts could include an overwhelming amount of cameras. Highly competent, competitive camera, with a few flaws/quirks. But not ground-breaking. So that explains the high score yet the silver award. They have to pay attention in remote shutter release input, so no mic, no head phones, no shutter release inputs. No shutter release input in a mid range 600-700€ camera. Remote shutter release is done via bluetooth using your smartphone. Very easy to use. @El Chubasco, how's the remote-control range using bluetooth? I find wi-fi range on the G85 to be disappointing, unusable beyond around 10 feet or so. 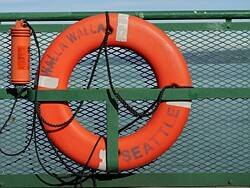 @El Chubasco: Might be easy to use, but not necessarily viable in actic conditions. At least one can always rely on self-timer if non-instantaneous shooting is okay. @funguy66 I tried 40ft of distance (could not go further around my house and the Bluetooth shutter worked perfectly. Can you use Wi-Fi instead? The Wi-Fi range of the remote shutter on my E-M5 II and GX850 is pretty decent... I'm assuming Pana added a mode where the BT remote is just that with no live preview and extra controls etc? My E-M5 II has that despite being WiFi only and it's pretty useful IMO (my Pana bodies are all full live preview + all the controls or nothing). It's a small thing but when you're pressing that button on a phone behind your back for a group shot it's useful to have a big simple shutter only button on the screen... Let alone when doing something like shooting a rocket launch with one body while pulling out the phone to stop a long exposure that you have going on another body on a tripod (did just that last week). @Impulses Yes, Panasonic app offers Bluethoot remote shutter independently of live view and other controls that require WiFi. I was impressed of its reach knowing that BT usually works with shorter distances. @Impulses, interesting that you get good wi-fi range with the GX850. Now I'm wondering if my G85 is faulty... or perhaps the fault is mine. In any case, the GX850 is on my radar as a second body, and as a much less expensive camera than the G85 I would probably be willing to try stupid but fun things that would take advantage of good wi-fi range, like hoisting the camera up a tree. @ El Chubasco, it's nice to know BT offers such range, but I hadn't realized (though it does make sense now that you mention it) that with BT the controls don't include live view. This Sony A6500 has been out for eons, and yet...it's not available for comparison in DPR's test scene. And this article compares the GX9 not to the A6500, but the A6300. What's going on here? Just not the same price range. A6500 looks exactly the same as the A6300 in image quality wise. Despite having IBIS, the GX9 is definitely closer to somewhere between the A6000 and A6300. Why is there no high Res mode in this camera? Can it be added via a software update? When are we getting the full in depth review? Bought a DC-GX9 with the kit lens a few weeks ago. 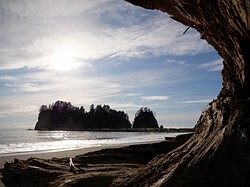 The difference between body only and with kit lens is insignificant, however, not good enough for the body. I use an old 14-150mm vario-elmar with a 43 to m43 adaptor. Why did I buy this camera, well, after years of using various makes, found the colour rendition and sharpness satisfactory. 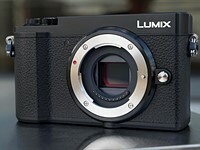 It is replacing a Lumix GM5, mainly because this body has built in "anti-shake". The GM5 has been a fabulous camera. Weather sealing would have been nice but not a deal-breaker. I am still "discovering" the camera, so here are one or two features I really like. 1. The grip is fairly comfortable, and there are two "roller" wheels, one at the back left top edge, and the other at the front top a bit in. These can be used when in manual mode to change the f stop and shutter speed. 2. 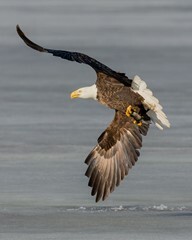 The top controls are well placed easy to find, in particular, the +and - exposure control. I hope these comments helps someone. Received mine yesterday morning, along with the 20 1.7. Awesome, powerful little camera (not much larger than my beloved LX1000) with great face detect AF and excellent tracking. The tech crammed into this thing is embarrassing to my 2014 era Nikons. Well, I bought the GX9. As to the optional grip every retailer I've contacted has no idea when it will be available. Great. Does it actually exist? Why are Panasonic promoting the thing?? I assume it's the same with the optional large eye cup. I have emailed Panasonic UK and am awaiting an answer. If they can't come back with an availability date the camera goes back and ... Hello Fuji XE3. I was keen to get a hold of the grip too but for my GX85. I am in Australia and similarly there was no stock and no-one knew much about it. So I ordered it from B&H and had it shipped from NY. Total landed cost for me was approx AUD$100 so it wasn't cheap. But it's really good - well made, fits perfectly and for me it made a big difference when I was walking around holding the camera with one hand. My hand is not fatigued like it used to get without the grip. Well worth the investment. When do we get the full review... ??? "the field sequential panel doesn't display them all at the same time, so the resolution is actually 2.76 million equivalent dots, rather than 2.36M total dots on the GX9." Should it be this instead? "the field sequential panel doesn't display them all at the same time, so the resolution is actually 2.36 million equivalent dots, rather than 2.76M total dots on the GX9." Field sequential, lower battery life, for $999, that's crazy. Realistic prices for the a6300 are more like $799. Also, Olympus's older(but better than the new) EM10II gives IBIS, 8.5fps, OLED EVF (anything but field sequential!) and a longer battery life for about half of $999, with kit lens! The Panasonic gives you a decent kit lens for $999, better than the one Olympus gives you. The Sensor is better on the GX9 than the EM10II. The focusing also is, and its usability. can we expect L monochrome grain effect as firmware update for panasonic gx85? i’ve been looking for something to shoot a little bit of light commercial work for the company I work for. Products and stuff and an occasional video clip. I was really ready to love the GX9. The form factor seemed just right to me. I had no qualms at all about whether it was labeled G or a GX or whatever they wanted to call it. I thought it was going to be something that gave me the same feeling as the Fuji X 100 series but with more flexibility ( and there’s something I just don’t like about the Fujifilm XT 20). When I got the Lumix in hand it just didn’t have “it”. It felt kind of hollow and cheap in the same way that the GX 85 did. I couldn’t even bring myself to run it through its paces. It was lacking wu or whatever they call it in Japan. So sadly I sent it back. I bought a Sony a 6000 and the fast 35 mm prime. That will have to keep me until I find the Grail. Shouldn't you be looking for an a6500? The A6000 feels a lot more hollow than the GX85 (had both). The A6300/A6500 is way more solid, as it should be (magnesium body). I was actually surprised with the weight and solid feeling of the GX85, though, for a plastic camera. Yes sir I think your are right! Sorry I missed your post. I came to that conclusion a few days ago myself. The a6500 does tick all the boxes. 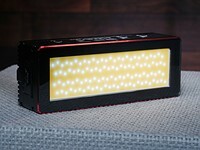 Stabilized, touch screen, flip screen, powerful, inputs and outputs of all kinds. It looks pretty chunky with a big lens but with a pancake could also serve as an everyday carry. I always have a shoulder bag anyway. And as a bonus there are a lot of them on the market and prices have dropped a bit. I´m using the GX9 for about two weeks. The only problem so far concerns connecting the camera DIRECTLY (not via network) to a (Laptop) PC by WLAN. Compared to my old Lumix DMC-G81 (aka G80 or G85) the configuration process runs much slower, in the end data transfer works properly. But reconnecting via "History" or "Favorites" can be achieved on the same day only. Trying it from the next day on or even simply changing the Laptops system date causes the reconnection to fail bringing up error message "No destination found". Reconfiguration from scratch is necessary. Nothing of that kind happens with the G81, I built up the connection once, months ago, reconnecting successfully via "Favorites" ever since. A known issue with the GX9? Just got a replacement GX9 from Amazon. The WLAN issue stays the same so it definitely IS a firmware bug I suppose. From Panasonic support I did not get any useful answer so far. When can we expect the in depth review ?????? Does anybody own both the GX85/80 and the GX9? I am wondering how much better the GX9 is at low light high ISO in real life usage. Indoor sport facility for example. (Yes, I know this is not the typical camera you would use for indoor sport but I do not have a specific camera rig for each type of situation, looking for a small all round m43). Has anbody figured out if it has the sensor from G9 or if it is an old modified GX8 sensor? 16 MP will let you print upto 20X30..20 MP is not much either.. The gx9 is not a replacement of the gx8, but an upper model to the gx85. Panasonic will either drop the gx8 (Professional weather sealed rangefinder) or will launch later this year a proper replacement to the gx8. Tito, the GX8 is neither professional or rangefinder. @Jeff Keller GX9 is actually starting to grow on me and I am likely to upgrade from GX80, trade in and pay on the top. 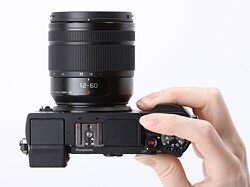 I would really appreciate the tilting EVF, better cropping possibilities, the AF lever and the LE Bluetooth for remote and establishing of connection. Now the big question is: does the exposure compensation work in M mode with Auto ISO to bias the 'brightness' by moving ISO when adjusting the exposure compensation, just like on G9, Sony's, Nikons, Canons and Pentax? And if yes, does it behave the same in video mode? If yes than that is a deal maker to me. Thanks for answering if you know. How can they sell a grip which does not offer an arca mount? I ordered a G9 and found the faster refresh rate of the EVF resulted in less contrast and clarity . I leave the M1 II at the default setting and it's fine. I cranked the G9 EVF to the max and still not bright enough with lower contrast. "What the GX9 ended up being was a GX8 with modest but still important improvements." Nope. It's a GX85 with modest but still important improvements. One look makes this pretty obvious. It doesn't look anything like a GX8, and it lacks the GX8's gorgeous large EVF, which pretty much kills it for me except as a second camera. GX7 got upgrade as GX7 Mk2 what is otherwise known as GX80 and GX85. The only true new version from GX7 is GX8, the GX9 is truly a GX7 Mk3 (sold as so in Japan). Battery life 240 shots..........I will keep my GH3. Before saying anything about the battery, check out how CIPA battery test are done. You will find that they are far from the reality and closer to just testing method. The same is true for CIPA image stabilisation ratings. That is the thing. Like you can't really build just a mechanical tilting platform to "compare" IBIS functionality, as camera handling ain't such. That is the difference where different algorithms are required for the different motion, and steady repeated mechanical motion is not same thing as handholding something with random shake differently from different lenses. Because of the 5-axis Dual-IS, I was hoping that it would sport the pixel-shift function. I bought MFT for the size advantage. I want a G9 specs in the body of a GX7 and will pay premium for that. Since the GX9 is the GX7 mark III in other parts of the world, you should get what you want with it. Can't blame him he is just another casualty of Panasonic's confusing naming convention. This is GX7 II aka GX85/GX80 successor, not GX8. and then the price, oh well. As a long-time panasonic user, my heart is broken. If the price drops to $500, I would consider. So they will never launching a real updated product? The DFD is really not working in video. I will switch to sony. 7R III looks much better at auto-focusing, not to mention image quality. Agree. Dont install features that dont work fluidly in real life. Thats dishonest. Sony are there in many ways. Better watch out panny. Dont be cruel to your lovers. Thats just plain arrogance. Just sold my lovely gx85. Why. Shocked how you could tear my eyes out with your viewfinder. That really hurt. I am not going on any dates with you. I'd be willing to shell out $1,200 if the kit lens was the Leica 12-60 f/2.8-4.0. But alas, they only offer the more pedestrian 12-60 f/3.5-5.6. Very disappoint with how they are positioning the camera. 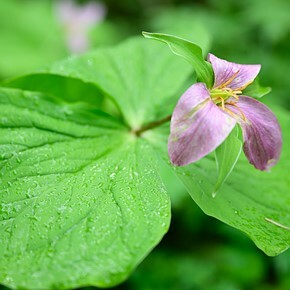 The 12-60mm F3.5-5.6 may be pedestrian, I find mine very good and small enough. I can shoot wide open at any focal length without any regrets. Oh man, Imagine what you could buy for this price. The MFT stuff will look laughable in comparison. And you are laughable too with 0 arguments. Kewl still. Panasonic. I hope you are reading this. The GF1 and the GX7 were the pinnacle of your cameras. Your marketing MUST know that launching a product like this is a slap in the face of all your potential customers. You are digging your own grave! WHAT are you thinking??? 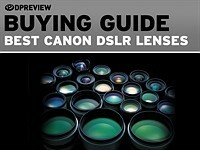 WHY would anyone buy this when they can buy a X-T20 with a wonderfully bright kitlens? A sensor that steps over anything M43? 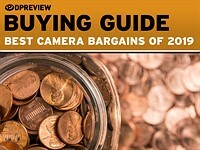 Your offerings have to improve dramatically if you want to sell any cameras. AF-wise you HAVE to come up with a solution. Lightyears behind the competition. Give us a kit lens that is worth a damn! Honestly F2.8 zoom has to become a standard (comparing to the 18-55 f2.8-4 Fuji). And do things that other brands aren't. A mirrorless with 1000 shot battery life? If you have any sensor tech (organic) USE it. It's TIME! Leaf shutter all your camera's so crazy sync flash is possible? Have an OPEN JPG engine of sorts, built/supported by the community? Did you even bother to read the review? the AF system is pretty much ok. It is not phase detect, but panasonics system works pretty well, so what is your problem there? Love the idea of leaf shutters in every lens. A man can dream, right? You're a lot of fun. Leaf shutters? Really? Are you willing to pay for them and the possible sample to sample idiosyncrasies? Do you want to head back to cocking the lens before each shot, too? You think lens repair is costly now, add in a leaf shutter and recalculate. With a leaf shutter, do you duplicate it with an electronic shutter, too? While one can continue to dream of leaf shutters in every lens, what becomes of current lenses, relegate them to the ash heap of history? Is going backwards in technology now seen as advancement? It isn't going backwards - it's offering choices. There are people who proudly proclaim they only shoot natural light. They can absolutely ignore the leaf shutter lenses. I don't think leaf shutters are such an outlandish idea. Many medium format systems have leaf shutters in all their lenses. Fujifilm is unique (I think) in having a focal plane shutter in their medium format system. It is not only about choice, economics comes into play as well. If one builds lenses WITH an integral leaf shutter, they don't need a shutter in body. Suddenly, those lenses that may represent more than 80% of ones investment in direct camera equipment become virtually useless. I can't begin to think of how to add a shutter to either the body or the lenses without upsetting the optics or the expense. As to the medium format consideration, do any of them offer an in-body modification to allow non-shuttered lens use? Are any available anywhere? Does Fujifilm offer leaf shuttered lenses? Do any third parties offer them either? I am not an expert, but leaf shutter is certainly incompatible with an electronic first curtain mode. Because the sensor rows can be reset and read sequentially, it is possible to mimic the sweep of a focal plane mechanical curtain. This is mandatory as the "travel" time and speed of the EFC must match the ones of the second mechanical curtain. However, it is certainly more challenging to design a big focal plane shutter for a big sensor as the mass of the blades is greater and the travel distance is longer. There is a tradeoff to be found in order to keep the shutter shock and wear at an acceptable level while keeping the highest shutter speed and flash sync speed at a convenient level for the photographer. Adding to what you've written: The path of a leaf shutter is far more complex. Even the simplest single-blade design pivots around an out-board off-center axis and thus describes an arc across the focal plane - an arc of an curved edged blade (I have never seen a leaf shutter blade that has a straight edge anywhere). Add in multiple blades with as many pivot points and one has multiplied the complexity of the opening and closing pattern that would need to be replicated in the pattern of an EFC reading and resetting the sensor points individually (with existing sensor design, can that even be done?). 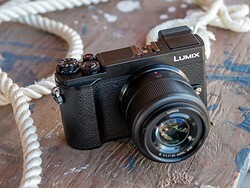 The Panasonic GX9 isn't the best or least expensive camera that Reviews Editor Carey Rose tested this year. But its combination of features, form factor and image quality make it an enjoyable camera to use – and his pick for this year. 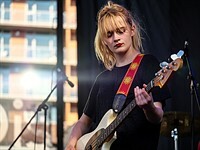 On a hot and hazy afternoon, DPR staffer Carey Rose took the Panasonic Lumix GX9 and Lumix G Vario 35-100mm F2.8 lens to a neighborhood music festival to gather some impressions of the autofocus system. Here's what he found. Our technical evaluation of the Panasonic GX9 has included a trip to the studio, where we put its 20MP Four Thirds sensor in front of our standard test scene. 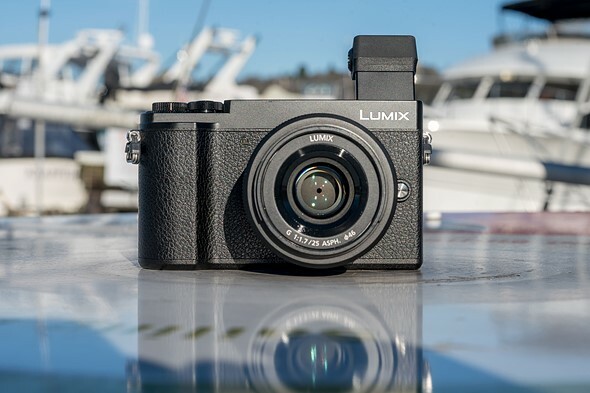 We're continuing to shoot with and test the Lumix GX9, Panasonic's latest rangefinder style Micro Four Thirds camera. Priced at $1000 with kit lens, the GX9 offers a 20MP sensor, 5-axis stabilization and promises a 90% reduction in shutter shock. 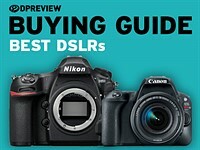 We've added the Panasonic GX9 to this buying guide to to place its specifications and features in context, alongside its competition. When our full review is complete the camera will be considered for an award.